After being the first to incorporate a fingerprint recognition system we all have come to know and love as Touch ID, the tech giant is moving onto creating cloud storage as a much more simplified service that will provide amplified security as well. 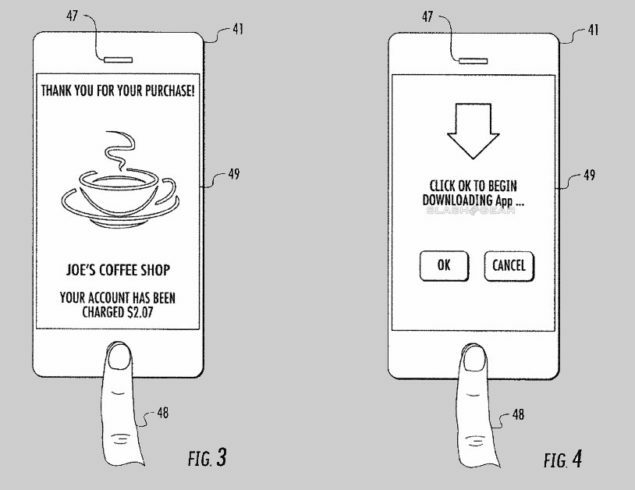 The company has filed a patent, but the question is, will it be successful? The patent is for ‘Finger Biometric Sensor Data Synchronization VIA A Cloud Computing Device And Related Methods’ and was published by the USPTO on December 17th, 2015. In the images below, you will be able to see how Apple is intending on revolutionizing its cloud storage service by making it relatively easier and all-round secure compared to its rivals ranging from Dropbox, Google’s Google Drive and Microsoft’s OneDrive. This is how the service is going to work, if Apple is ever plans on bringing it forward; fingerprint information is collected, stored on the device it was collected on and uploaded to the cloud, and able to be downloaded and used by a second device. 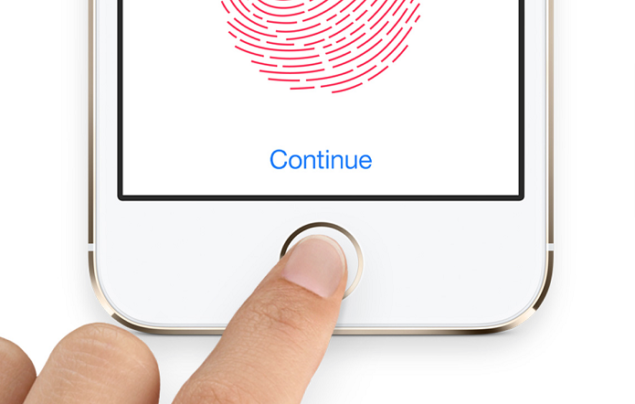 So is Apple going to be integrating its iCloud storage service with its Touch ID interface? It seems like it, although there is also a possibility that other cloud computing devices and systems may also be used. 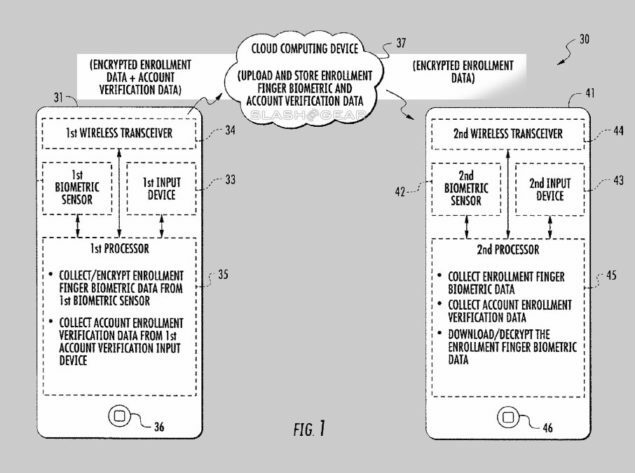 The patent suggests that the information of any kind to be uploaded to servers will require the user to sign in using their Apple ID, which can also be done through the use of their fingerprint scanner. If Apple Pay can take advantage of this method, then we definitely see no reason why it cannot be used to access content online on the company’s servers. Since the patent was filed in this month only, we cannot see such a feature appearing in any of the upcoming events hosted by the tech giant. However, in terms of flexibility, we do see this as an easier and secure way of uploading and downloading cloud content. What do you guys think of Apple’s latest patent? Let us know your thoughts.